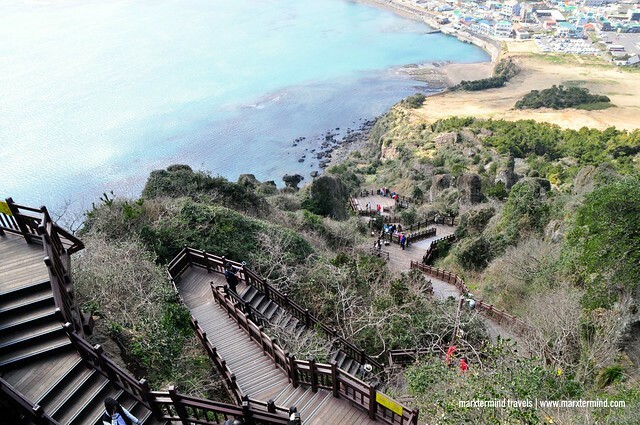 Jeju Island is filled with beautiful natural landscape and wonderful sites. It is a fantastic destination that I easily got enjoy because of its several places and attractions to visit. It has a mix of heritage, nature and modern attractions. After spending my first day exploring the west side of the island, I spent the next day joining a Jeju Island East Course Tour. 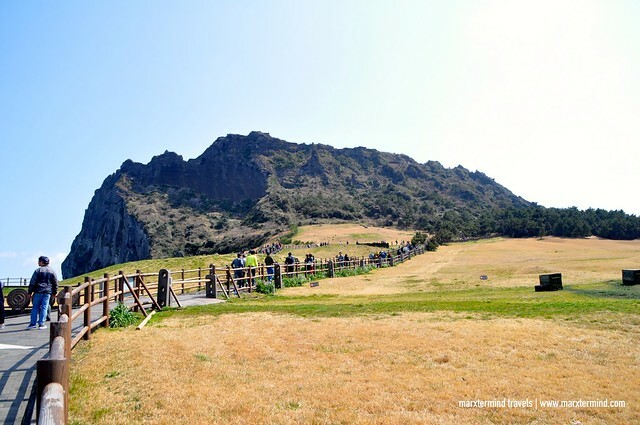 Jeju Island East Course Tour let me discovered the wonders of this side of the island. The eastern region has also some interesting tourist spots to see. 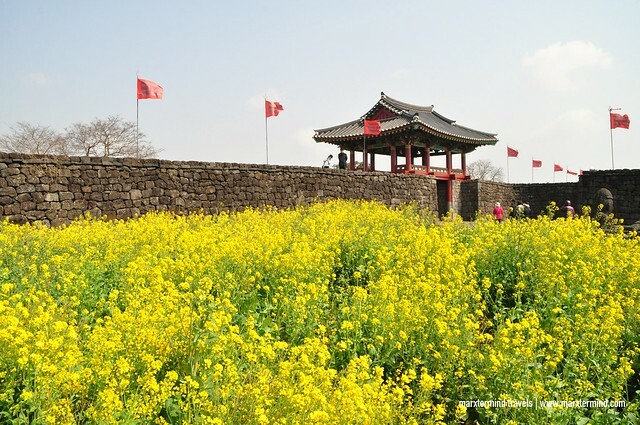 Some of the highlights are Seongeup Folk Village, Seongsan Ilchulbong Peak and Manjang Cave. 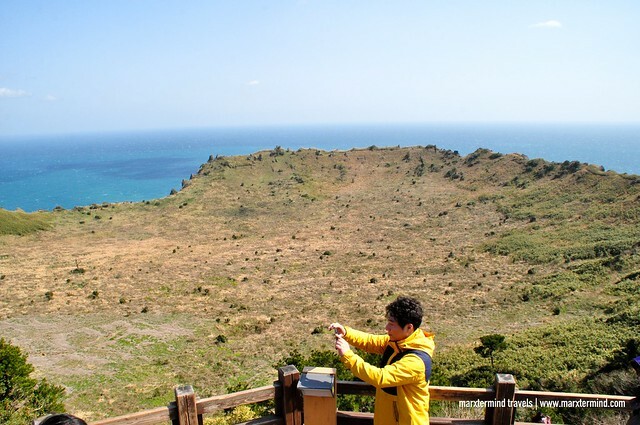 Tours to eastern Jeju also provide various outdoor activities like horse riding and trekking. I joined one of the tours from KKDay. It was a full-guided bus tour with an English-speaking guide. The service also includes lunch and admission fees. So joining this tour was such a convenience. We started the tour early morning. After picking up all the passengers, we left the city at around 9:00 AM and drove off to our first destination. Horse riding was our first activity for the day. 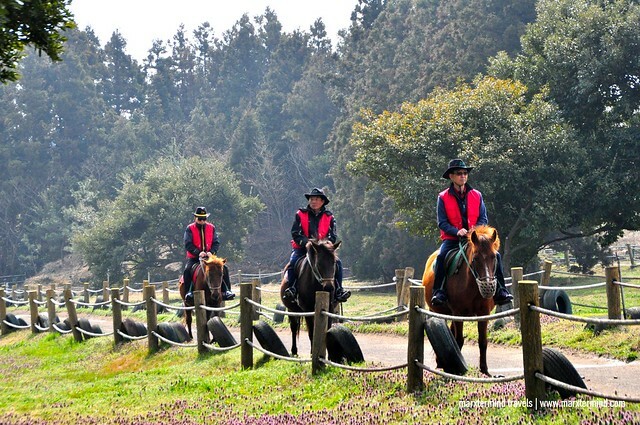 Horses can be seen all around the island so horse riding on a Jeju Island trip is something that should not be missed. It wasn’t my first time riding a horse but I think it was already years ago since the last time. The track was quite short but the ride gave me nice scenery. It was just sad though that we were requested not to bring cameras for safety reasons. The activity was a great start for our Jeju Island East Course Tour. 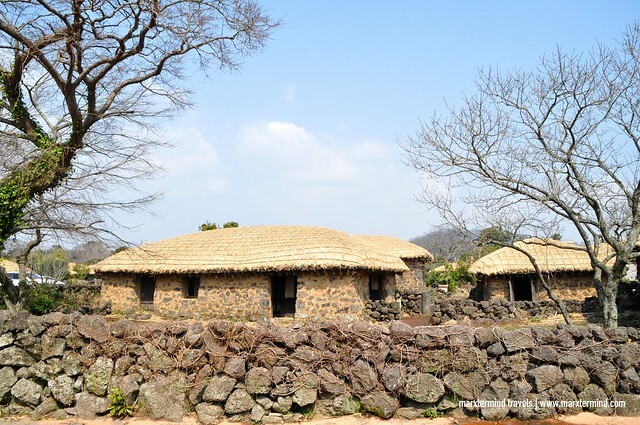 Seongeup Folk Village is a small town at the foot of Halla Mountain that holds a vast amount of culture. These cultural properties in the folk village have been passed down from generation to generation. Inside the village, there are residential houses, shrines and schools, ancient government offices, stone statues, large millstones, fortress ruins, and stone monuments. We visited one of the compounds with huts and native houses. It was huge. We had few minutes to check it out. But the yellow flowers in front of the compound captivated me. I thought it was the yellow canola flowers but our guide told us that it was not. So instead of joining the group to see the small folk village, I stayed outside and took some photos. After visiting the compound, we were also brought to a nearby house with an old man who gave us a tour around. The tour gave us an insight into the everyday lives of the locals who used to live in these straw-roofed houses. The village is also popular Korean drama shooting spot. After having our lunch, we went to Seongsan Ilchulbong Peak. A UNESCO World Heritage Site, Seongsan Ilchulbong Peak is a tuff cone crater that was formed when a volcano erupted under the ocean. On top, there is a huge crater. The image of this bowl-like crater is often used as a symbol of Jeju. The crater is about 600 meters in diameter and 90 meters high. The climb to the top offers a bird’s-eye view of the huge crater at the summit. The pathway is well maintained and it’s a 40-minute steep climb to the top. 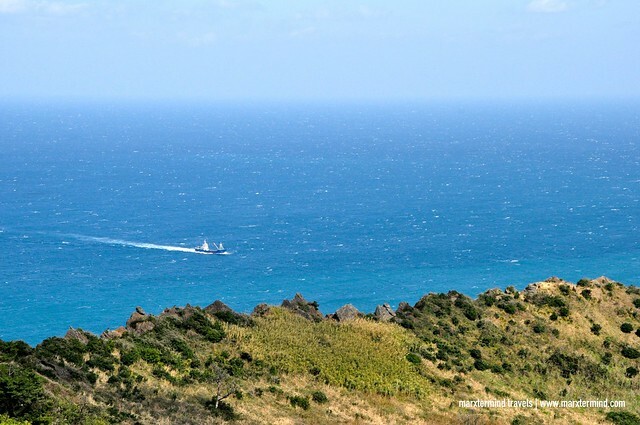 It wasn’t an easy hike but I enjoyed the picturesque views of the crater, the sea and town below. Also at Seongsan Ilchulbong, we were able to get a chance to see female diver show. This is one of the distinctive symbols of Jeju Island. The show happens 1:30 PM and 3:00 PM daily. 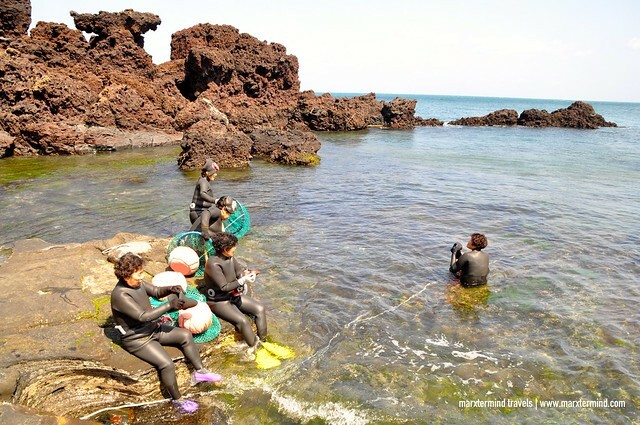 Women are dressed in black rubber diving suits and swim in the cold water to catch fresh seafood. 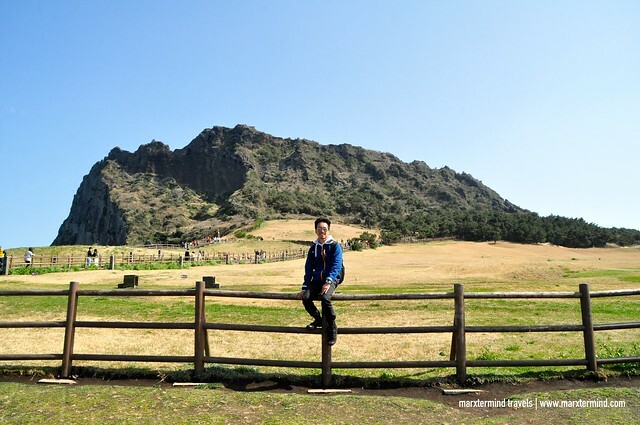 For the last destination of our Jeju Island East Course Tour, we visited another UNESCO World Heritage Site. 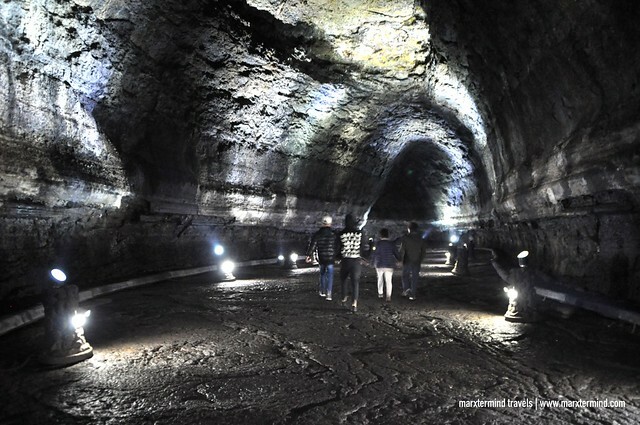 Manjanggul Cave is one of the finest lava tunnels in the world. This natural wonder has a variety of interesting structures inside including 70cm lava stalagmites and the lava tube tunnels. The place was very unique with interesting lava tube under the ground. During the tour, our guide told us a lot of cool facts about how it happened. There are also some signs and pictures with information that are easy to understand. The cave is cold and dark. It is a long way with about 1 km. At the end is where the largest lava pillar is. We ended the tour around 5:00 PM. We went back to the city. Instead to be dropped off to my hotel, I asked our tour guide to drop me to the city center so I could also checkout the market and buy some stuff that I could also bring home. I enjoyed all the destinations that we’ve been to during the tour. It has interesting places and tourist attractions that I was glad to visit. 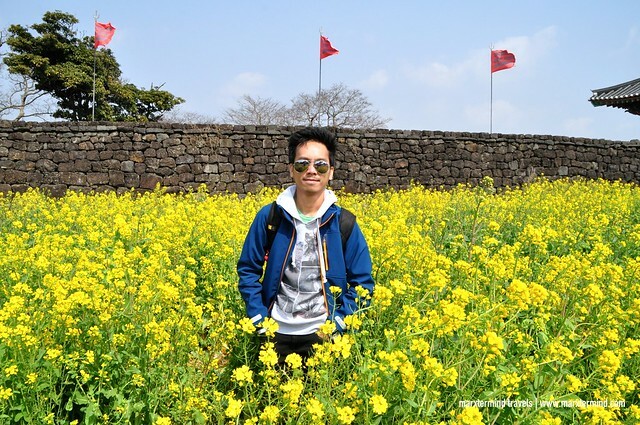 Joining the Jeju Island East Course Tour from KKDay definitely made my stay in the island even more remarkable.